use the skipdraw hack, or use the ogl hw renderer. (06-28-2017, 06:52 AM)Nobbs66 Wrote: use the skipdraw hack, or use the ogl hw renderer. Thanks for the reply. How do I use the skipdraw hack? 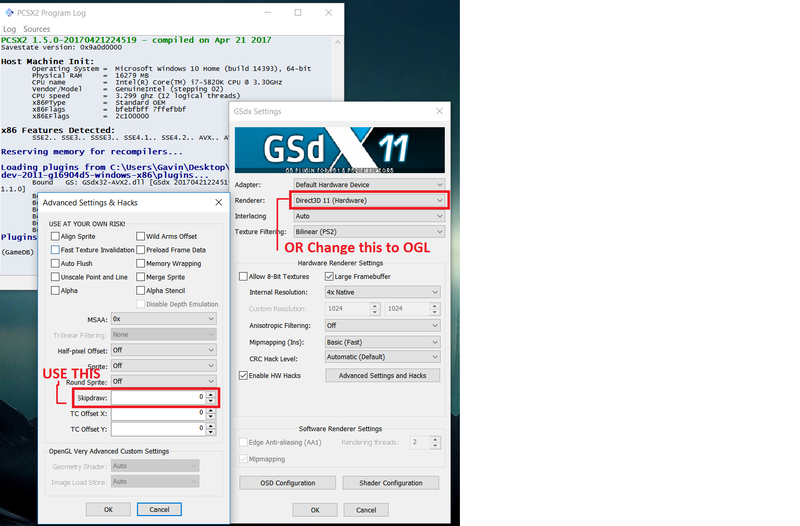 OGl is recommended if you have a Nvidia card though. The version of PCSX2 your using and pics of your Graphics settings and any other settings that are not default. Thank you for your replies. I got it fixed by switch to openGL and enabled hardware depth.